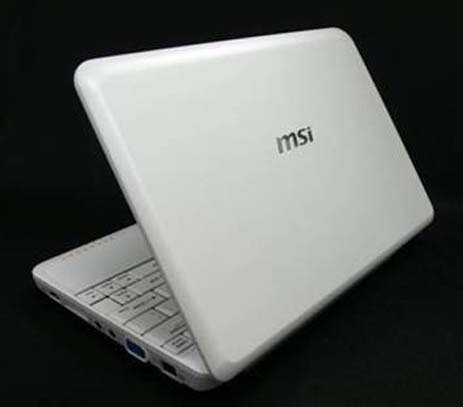 MSI Wind Laptop Will Not Quite Fit In The Palm Of Your Hand | OhGizmo! Andrew has an Asus EEE PC laptop. I’m totally jealous. And why shouldn’t I be, it’s an awesome little machine. So awesome, in fact, that it’s spawned some new competition in the cheap UMPC market… The latest serious contender looks to be the the MSI Wind, which (as you’d expect) boasts more features than the EEE at a higher price. It’s supposed to have a 10″ display, an Intel chipset with 1.0 or 1.6 ghz processors, a 2.5″ drive (either a standard drive or an SSD), a gig of ram, and (here’s where the money’s at) a 7 hour (!) battery life. At $450 – $1.1k, it’s almost, but not quite, out of the super cheap mobile category. We’ll be getting more details soon I hope, ’cause that 7 hour battery looks oh so juicy. 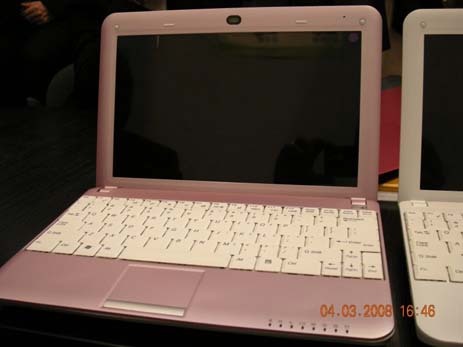 In the meantime, just to complicate things, Asus will be coming out with a 9″ version of the EEE PC with bigger HDs and XP preinstalled, in May or June. It looks nice, but it is not really small as you say. Does it have SSD or standard drive ?